The city of Chicago's Law Department has filed Thursday a civil complaint against "Empire" actor Jussie Smollett under the city's false statements ordinance. "This follows his refusal to reimburse the City of Chicago for the cost of police overtime spent investigating his false police report on January 29, 2019," the city said Thursday. The City Law Department said in a statement last week that Smollett had refused to pay, adding that it was already drafting a lawsuit in response and would file it "in the near future." "In reality, Defendant knew his attackers and orchestrated the purported attack himself," the complaint reads. "Later, when police confronted him with evidence about his attackers, he still refused to disclose his involvement in planning the attack." The complaint also says Smollett told one of the Osundairo brothers, the initial persons of interest, before the alleged attack "he was unhappy with the way his employers handled the racist and homophobic letter he had allegedly received and as a result wanted to stage an attack." The complain also says Smollett positively ID'd his attackers in a still image during an interview with Good Morning America, but had previously told police he could not identify them. "At no point did Defendant inform police that he knew his attackers or recognized their appearance or voices," the complaint reads. 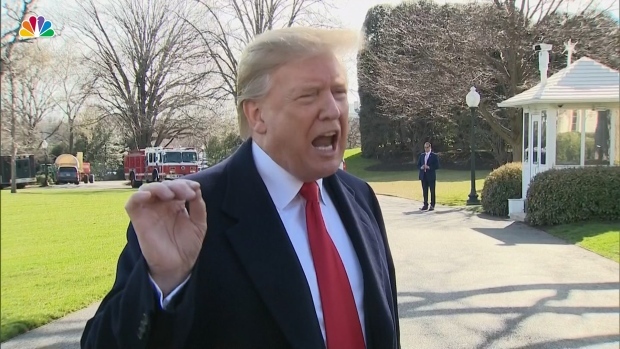 President Donald Trump weighed in on the Jussie Smollett case before departing for Michigan. But Smollett "made further false statements claiming his only relationship with the Brothers was as trainers and acquaintances and that they could not have been his attackers," the complaint reads. But the city filed its suit in civil court, where a trial with jurors could decide whether Smollett orchestrated the attack. When city raised the issue of Smollet reimbursing Chicago, the actor's lawyers said it was city officials "who owe" Smollett "an apology — for dragging an innocent man's character through the mud." They added: "Jussie has paid enough." The city said it has no further comment on the suit on Thursday.